Halloween is here and if your home is anything like ours, it’s going to be overflowing with candy. 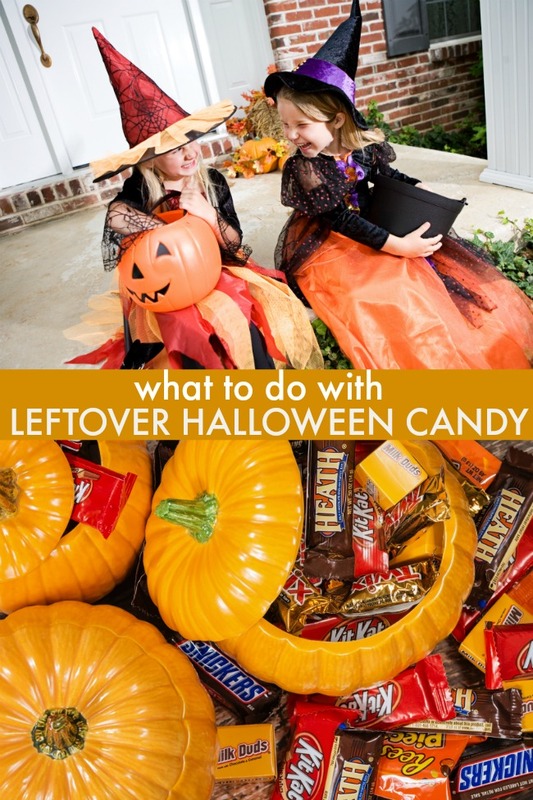 It seems like such a waste to throw it out but what can you do with leftover Halloween candy? 1) Use it in baking (the holidays are coming up!). You can melt down the chocolates, add candy to brownies and other squares or cookies, use it to decorate a gingerbread house and more. You can even freeze some for later use! 2) Hide it away for a surprise treat now and then. This works well if your daughter is like mine when she was little. She would eat a few of the candies at first and then forget about the rest. 3) Use in a pinata for a party. Or use it to fill these mini pinatas. They’re a fun party favor. You can even hang them on your Christmas tree! 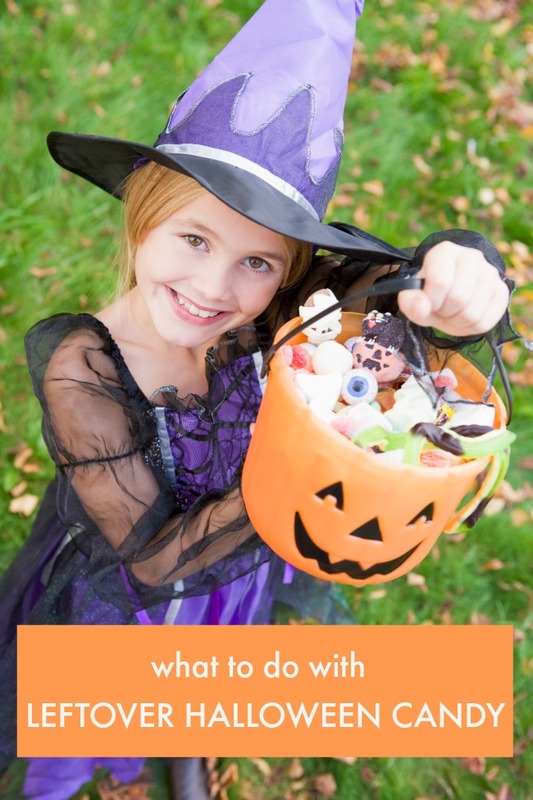 4) Employ the Switch Witch to collect some of your kids’ candy and reward them with another gift instead. I always allowed my daughter to have some treats as part of the fun of Halloween but let’s face it. She always ended up with way too much candy for any one kid and some of it wasn’t even her favorite. Offering her books in exchange for most of the candy always worked! 5) Take the extras into parent’s place of business, to a local fire or police station. For the latter, you need to call and ask if it’s okay first. When I lived in a small town, they were fine with it. Here in the city, they don’t accept edible gifts. You can also try calling the local shelters and see if they’d like some. Sometimes ours is happy to receive it to be able to treat the kids living there. 6) Use in Advent calendars – check out this fun idea for a DIY Advent calendar that would be perfect for your leftover candy. 7) Send it to the troops. If anyone knows of a similar service here in Canada, please let me know. 8) Put aside for stocking stuffers or to use inside plastic Easter eggs for your annual hunt or to put into baskets (most candy keeps for a long time and as long as it’s not Halloween themed, it’s perfect!). 9) Make up a care package for someone special and take/mail it to them. Maybe the grandparents would like a tasty little treat! You can even save them to use for future care packages for teachers, your hairdresser, the mail carrier – anyone you’d like to show some appreciation for! 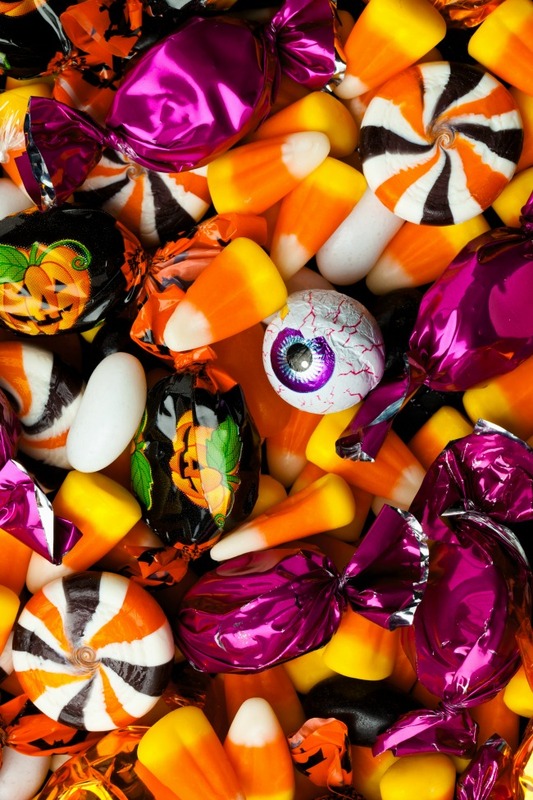 What will you do with your leftover Halloween candy? Halloween Cookie Cake – Use Up Your Halloween Candy!